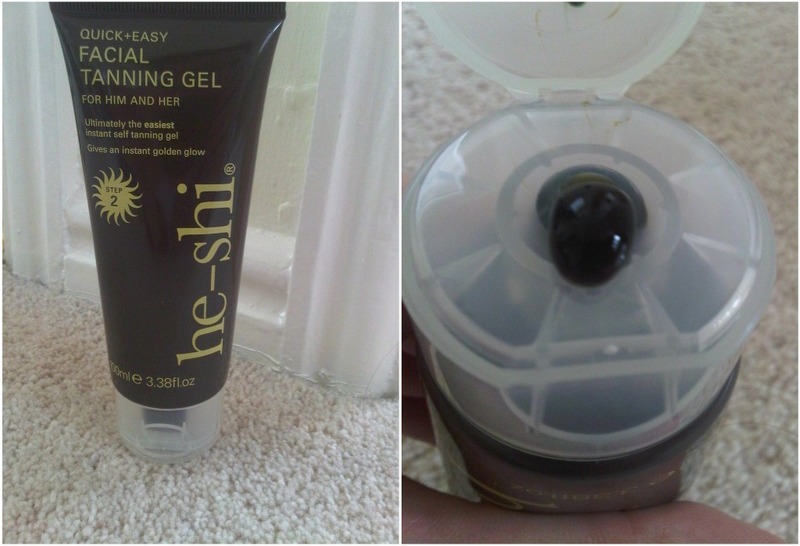 If you are a regular reader of “Who is She” you will know how much I LOVE (or should that be obsessed) with He-Shi Dark Foaming Mousse (read my review here). 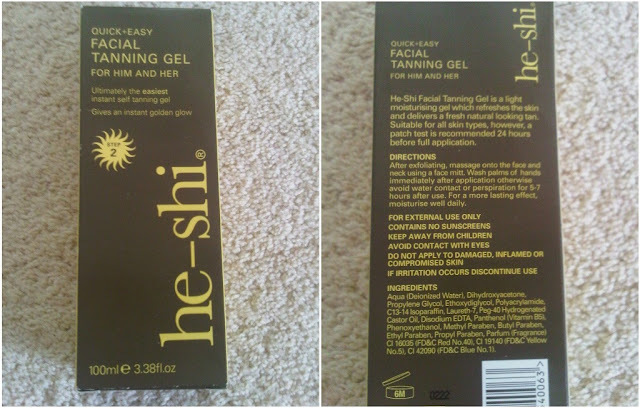 Now at the same time of receiving the Dark Mousse to try, I also got send the Facial Tanning Gel (*). Now I am not going to lie to you that personally I am not a fan of facial tanners- I go by the mentality of "what is good enough for your body is good enough for your face". In all honestly I was worried about the colour of my face not matching my body. However I think He-Shi has hit the nail on the head with their facial gel. As you can see from this the tan appears to be very dark- do not be put off with this. Just think the darker the lotion, the less chance there is of streaking. 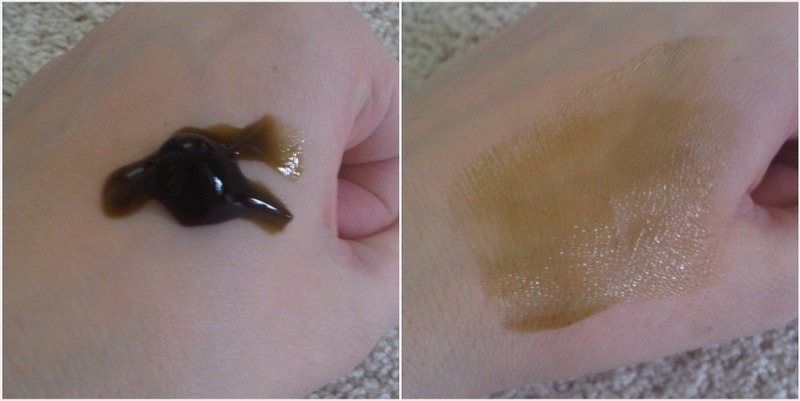 When rubbed in the gel (like the mousse) absorbs straight into the skin, and goes fairly light. Now when testing this, I only did one thin coat on my face and this was a perfect match to what would be one coat of normal (not dark) fake tan. As I am a brilliant blogger I forgot to take close up pictures- now if you see my outfit post here- I am wearing one coat of their facial tanner and one layer St Tropez on my top half. I can assure you that there were no streaks/orangeness from it. It provides enough colour that I went without foundation on that night out- I think this is a true testament to how good coverage it is. I decided to try this gel again with the dark foaming mousse- but with two coats, and this was a perfect match to He-Shi Dark Foaming Mousse. The results of this can be seen on the OOTD post below. Overall I am happy with the facial tanning gel, however once I’ve used this up, I don’t think I would repurchase this. He-Shi Facial Tanning Gel is currently on offer for £10.40 for 100ml from the He-Shi website.